Most people usually throw away the orange peel after peeling it. Unfortunately, orange peel has benefits that are not widely known. Some of the benefits below can be a consideration why you should not throw away your orange peel. 1. Orange skin is powerful to whiten teeth that turn yellow as well as refreshing the less unpleasant breath. Did you know that orange peel contains a compound called D-Limonene? 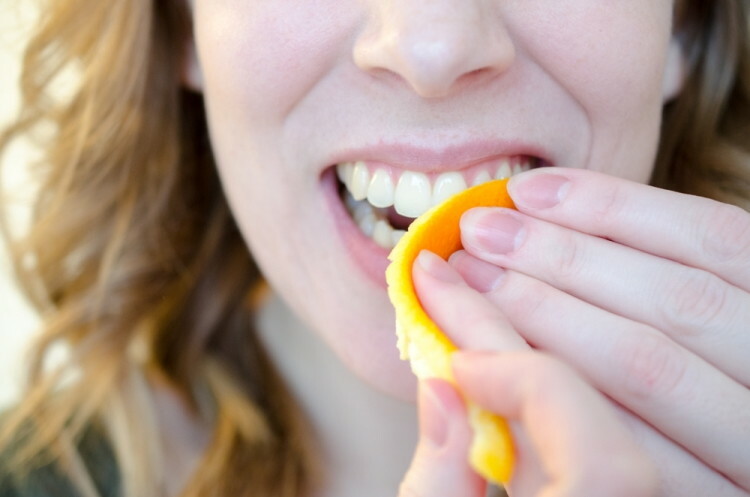 the content in the orange peel can help reduce the yellow color of teeth caused by various things. The way is easy, just rub the inside of the orange peel on the yellow teeth for 2-3 minutes, then rinse. Do this routine twice a day, then your teeth will gradually turn white. And if you have bad breath, just chew the orange peel like a gum for a while, then you may dispose it afterwards. 2. For those of you who have ulcer, orange peel is able to reduce stomach acid and improve other digestive problems. Orange peels contain lots of fiber that is useful for preventing irritable bowel syndrome, including bloating and constipation. D-limonene in orange peel is also able to relieve stomach acid, keep bowel movement normal, and improve liver function. You can mix the orange peel and a little salt in water, then boiled for 20 minutes. Drink it warm when you feel nausea due to stomach acid. You can also brew tea that is combined with orange peel extract to soothe the digestive system. 3. Peeled orange peel can be used as a scrub, toner or mask to smooth and brighten the skin. Dry the orange peel until dry, then blend until it becomes powder. For scrubs, you can directly apply this orange peel powder on the skin as an exfoliator. For toner: insert orange peel into a pot of water, cook in low heat until boiling. Then let stand all night, strain the water and store in the refrigerator before you use as toner. 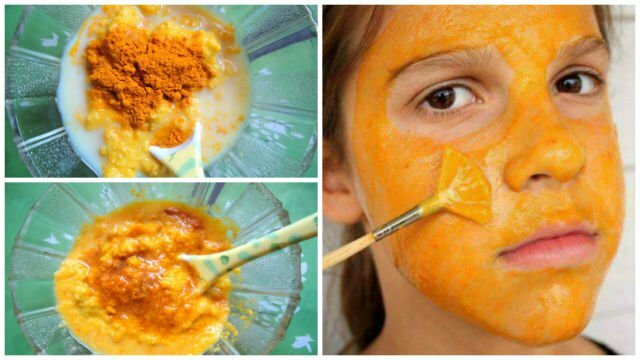 For masks: mix 1 tablespoon orange peel powder, 1 tablespoon oatmeal, and honey to taste. Stir well, then apply on face or body and let stand for 30 minutes, then rinse with warm water then rinse again with cold water to close the pores. 4. Orange peel powder also improves the respiratory system, relieve cough, as well as asthma. Orange peel contains vitamin C and A which is an excellent source of antioxidants for health, preventing flu, fever, and various infections in the body. 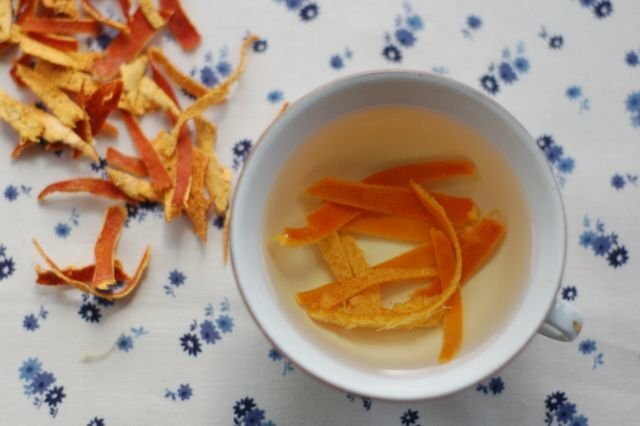 The easy way, dry the orange peel, put some dried orange peel in 1 cup of hot water, then cover and let stand for 10 minutes. Remove the orange peel from the cup and add a few spoons of honey. Drink each morning before the move. 5. 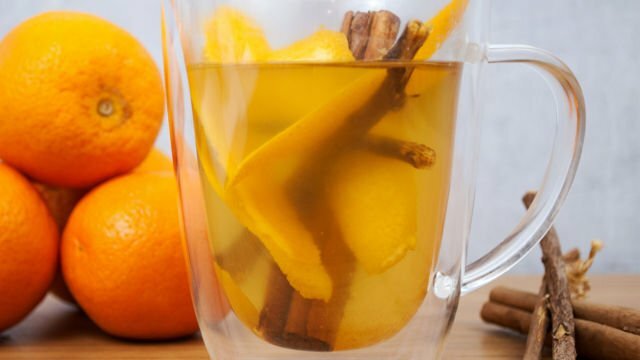 For you who are losing weight, replace the coffee or tea you consume with orange peel tea. Orange peel has been trusted by many health experts because of its ability to increase metabolism in the body so burn more calories and help lose weight. 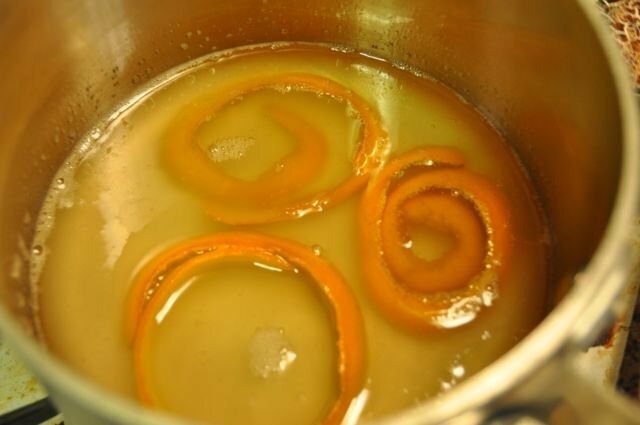 You can brew dry orange peel powder in warm water plus honey and drink 2 cups per day on a regular basis. This herb is also powerful to reduce bad cholesterol in the body you know! 6. Not only nutritious for the face, orange peel is also useful to combat dandruff and make hair shiny. To eliminate dandruff, you can pound the orange peel and give a little water, and leave overnight. The next day, use as shampoo. Or, use an orange peel stew or orange peel powder added with a little honey and then brewed warm water as a natural conditioner. Apply on hair, massage slowly and let stand for a moment. After that, rinse hair with cold water. 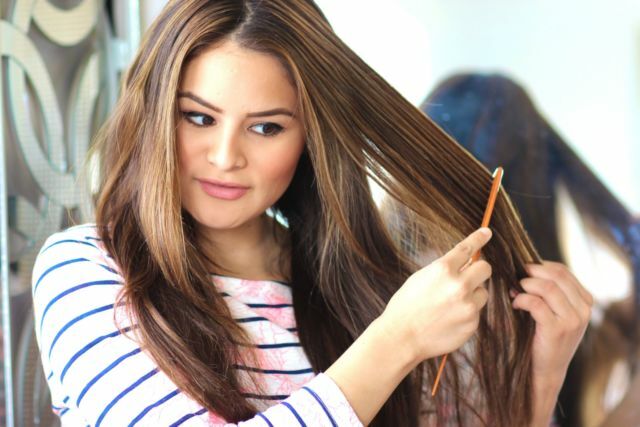 This treatment makes hair feel more smooth and shiny. 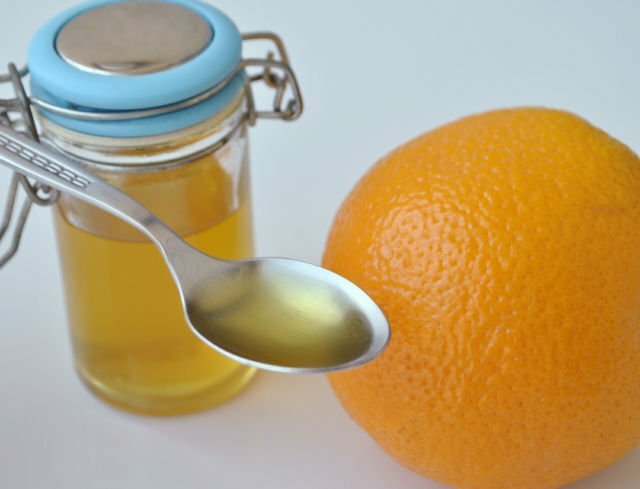 7.The essential oil from orange peel can also overcome insomnia.